WIPO released the Global Innovation Index (GII) 2014 The GII is perhaps the most nuanced and holistic annual innovation index that currently exists. The GII 2014 covers 143 economies and uses 81 indicators across a variety of themes. It is co-published by WIPO, Cornell University and INSEAD. You can see our coverage of previous GII editions and how India performed here: 2013, 2012 & 2011. At the outset – this may not be a perfect one, but let me state my pleasure in finally reading a ‘useful‘ innovation index, after the number of half-baked biased “IP indices” that certain lobbies get published. The five economies leading the overall rankings were Switzerland, UK, Sweden, Finland and Netherlands respectively. India’s overall rank dropped 10 places, coming in at 76 this time. India is 7th in the Lower Middle Income category. Positions 1-6 in the LMI category are taken by Republic of Moldova, Mongolia, Ukraine, Armenia, Vietnam & Georgia respectively. India is 1st in the Central South Asian Region. India is ranked as 31st most efficient economy with an efficiency ratio of 0.82. The first five ranks are taken by Republic of Moldova, China, Malta, Indonesia & Vietnam respectively. India is ranked 93rd (down from 87th) in innovation input and 65th (down from 42nd) in innovation output. Amongst BRICS nations, only India has not made progress since last year’s ranking. China has moved ahead from 35th to 29th, Russia from 62nd to 49th, South Africa from 58th to 53rd and Brazil from 64th to 61st. India has slipped back from 66th to 76th. It is very interesting to note that the report links the drop in ranking to an education criteria. More on that below. Sub-Saharan Africa is the region that has seen the most amount of improvement in the GII 2014. 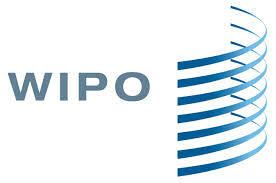 You can go to the WIPO GII page http://www.wipo.int/econ_stat/en/economics/gii/ for more details or download the report directly from http://www.wipo.int/export/sites/www/freepublications/en/economics/gii/gii_2014.pdf .